Schuco Piccolo Gift Set, Circus Krone II. 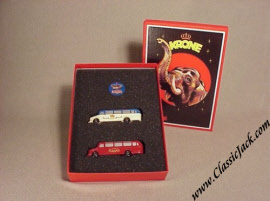 Issued in March 2002, this is a special gift set. 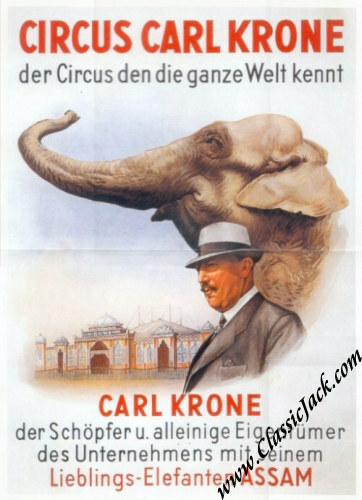 It was issued to commemorate the world-famous (in Germany at least...) Circus Krone. 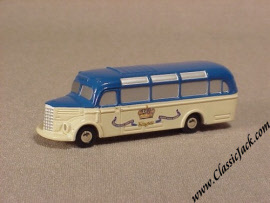 It is the second set that was issued around this circus. 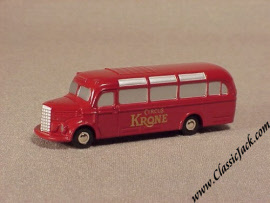 It comes in a linen-lined gift box and contains two Schuco Piccolo Mercedes-Benz O-3500 Busses as used way back when by Circus Krone. Next to the two piccolos, the set contains a Circus Krone Lapel Pin and a 12 x 16 inch Circus Krone Poster. It is a limited edition of only 2,500 pieces.